This is a controlled yield strength material that manufactured to API specification 5ct. L80 is usually used in wells with sour (hydrogen sulfide) environments, casing, production tubing, coupling stock, pup joints, and various downhole accessories. L80 (API 5CT) is a medium carbon steel and is equivalent to SAE 4140. We offer L80 Casing Pipe which made up of three materials such as L80-1, L80 9Cr and L80 13Cr. These materials feature consistent mechanical properties but having different heat treatment method and chemical composition. 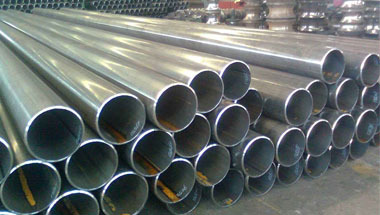 Also, SAE 4140 L80 tubing are made available forms of seamless or welded tubing and casing in diameters, grades, and wall thicknesses to meet the specific requirements of each well. They are widely used in various industries, petroleum, construction, shipbuilding, smelting, aviation, electric power, food, paper, chemical industry and so on. Our large experience ensures that customers receive the highest degree of quality throughout the entire materials management process. Contact us today! Italy, Kuwait, Algeria, Australia, Dubai, Germany, Chine, Vietnam, Sri Lanka, Angola, Saudi Arabia, Sudan, Canada, UAE, Nigeria, Democratic Republic of the Congo, South Africa, Bahrain, Iran, Egypt, Brazil, Morocco, Colombia, Israel, Ethiopa, Africa, Thailand (Bangkok), Houston, Kazakhstan, Turkey, Mozambique, Indonesia, United States, Argentina, Tunisia, Mexico, New Zealand, UK, Trinidad and Tobago, Ghana, Uganda, Iraq, Jordan, Azerbaijan, Venezuela, Russia, Peru, London, Cameroon, Malaysia. Kano, Port Harcourt, Hong Kong, Manama, Tripoli, Maputo, Omdurman, Bethlehem, Mbuji-Mayi, Dakar, Ibadan, Zaria, Soweto, Freetown, Douala, Amman, Accra, Bamako, Maiduguri, Fez, Mecca, Cairo, Luanda, Muscat, Mogadishu, Subra al-Haymah, Jeddah, Singapore, Sharm el-Sheikh, Dammam, Cairo, Kolwezi, Kampala, Aqaba, Lusaka, Yaoundé, Dubai, Bulawayo, Lagos, Istanbul, Kinshasa, New York, Colombo, Data from the UN, Beirut, Abu Dhabi, Alexandria, Port Elizabeth, Cape Town, Conakry, Algiers, Durban, Casablanca, Lubumbashi, Johannesburg, Brazzaville, Nairobi, Kaduna, Pretoria, Abidjan, Rabat, Doha, Tel Aviv, Giza, Byblos, Tehran, Riyadh, Harare, Jerusalem, Dar es Salaam, Ouagadougou, Antananarivo, Addis Ababa, Benin, Khartoum.